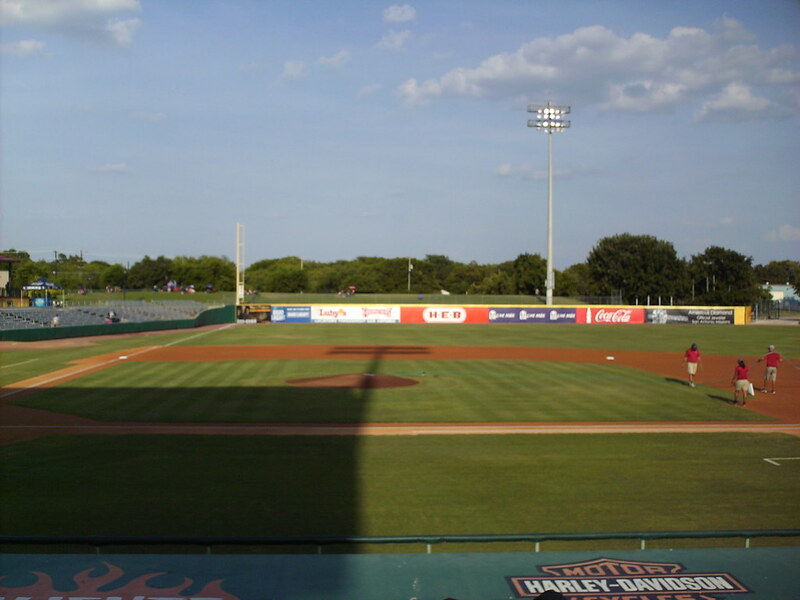 The view from behind home plate at Wolff Stadium. 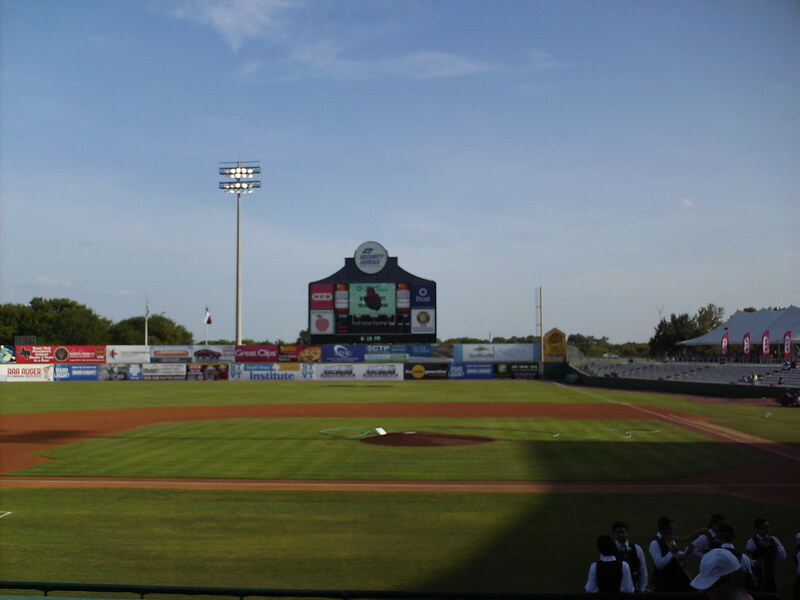 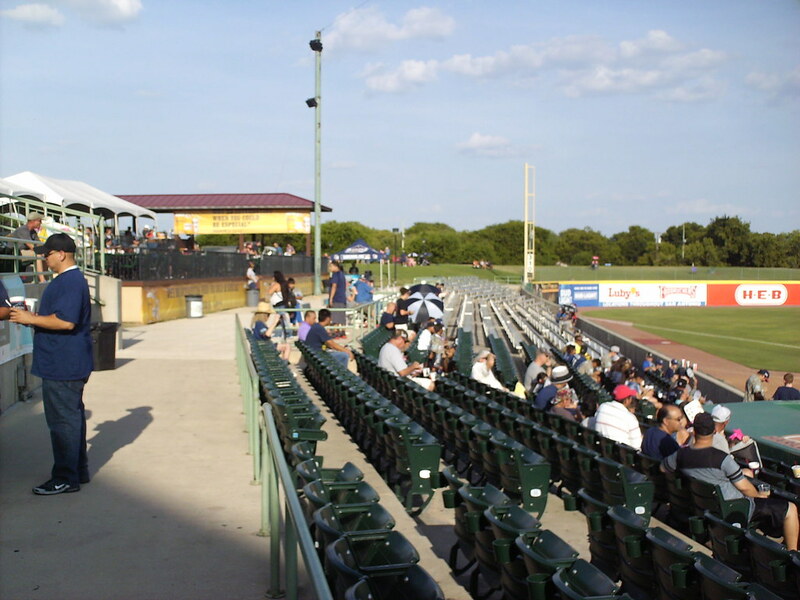 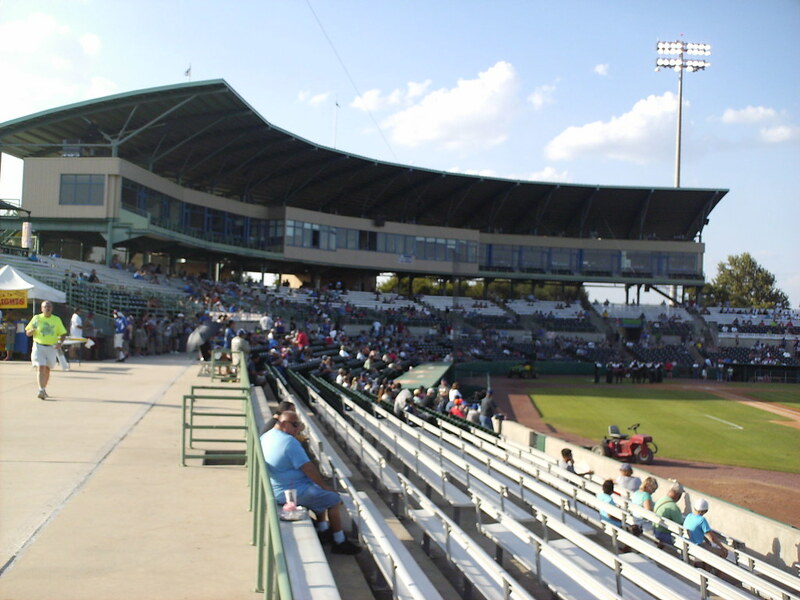 The grandstand at Nelson Wolff Stadium, as seen from right field. 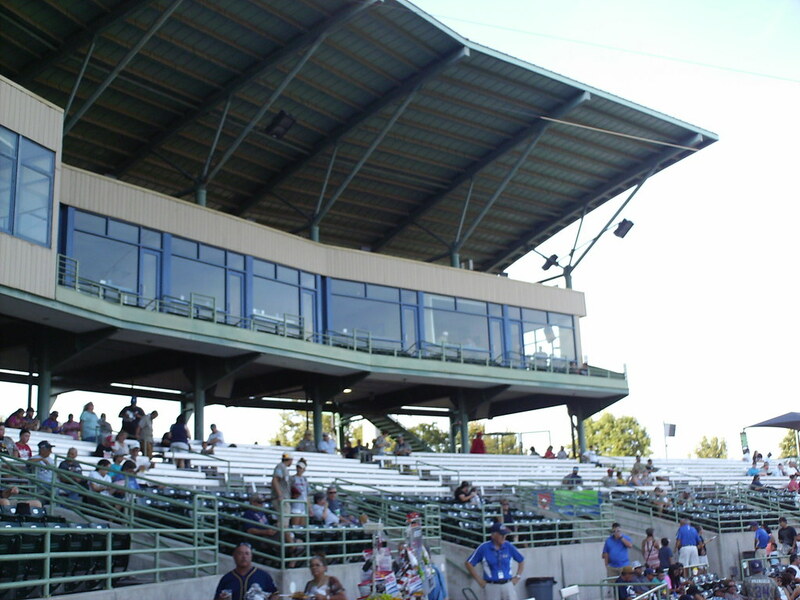 The pressbox behind home plate, with the cantilevered roof above it. 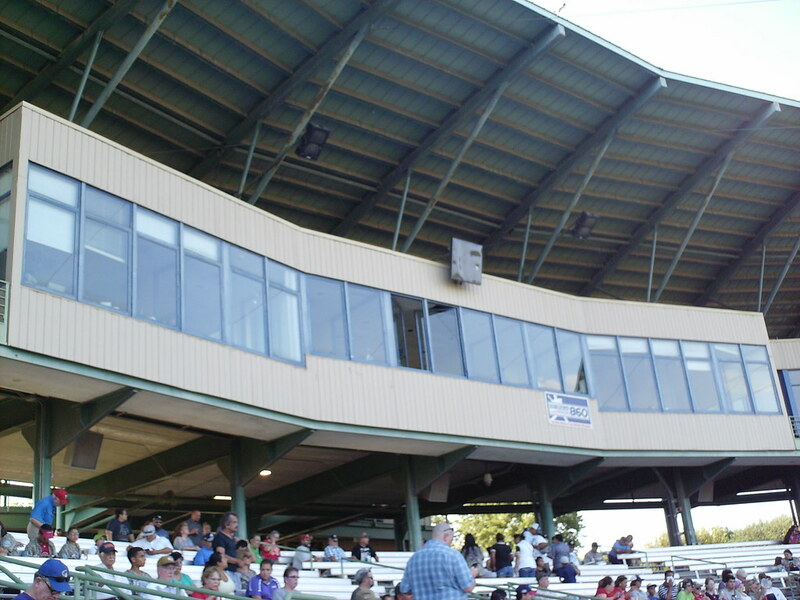 Luxury suites sit on either side of the pressbox on the second level of the stadium. 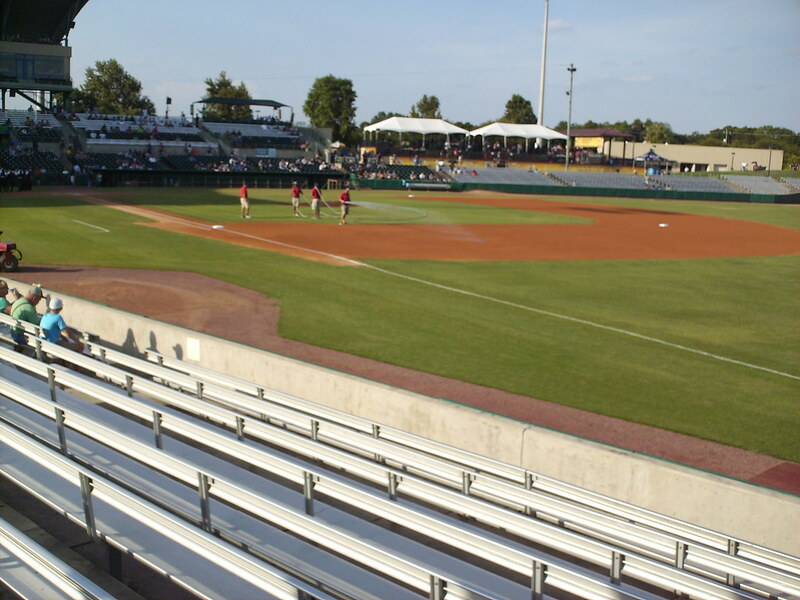 The main seating bowl features folding plastic chairs along the infield, with aluminum bleachers along the outfield lines. 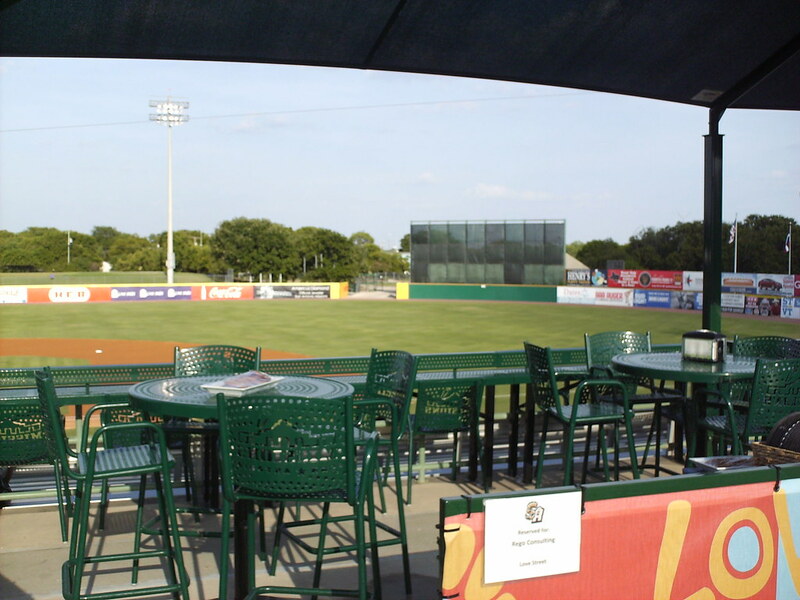 A multi-level picnic deck sits along the top of the seating bowl in the left field corner of the park. 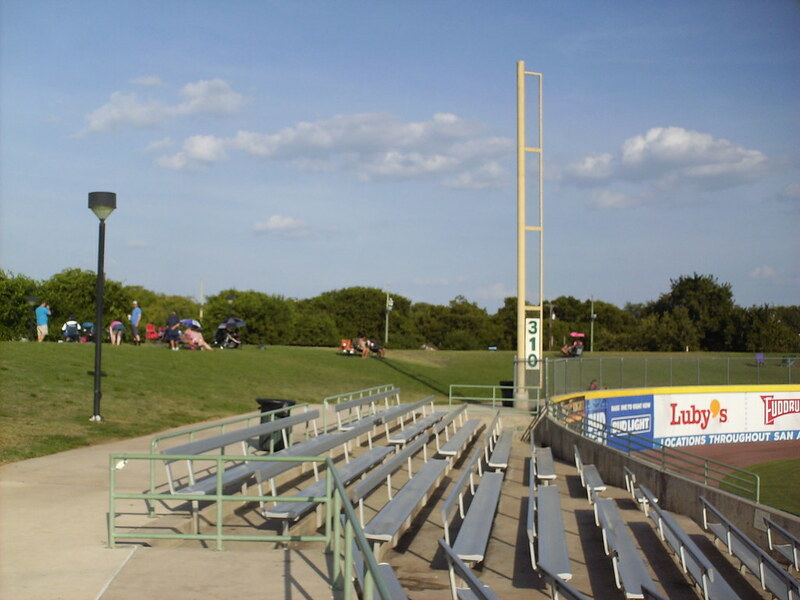 A steep grass berm wraps around the left field foul pole, and fans bring long chairs to get a view from the top of the hill. 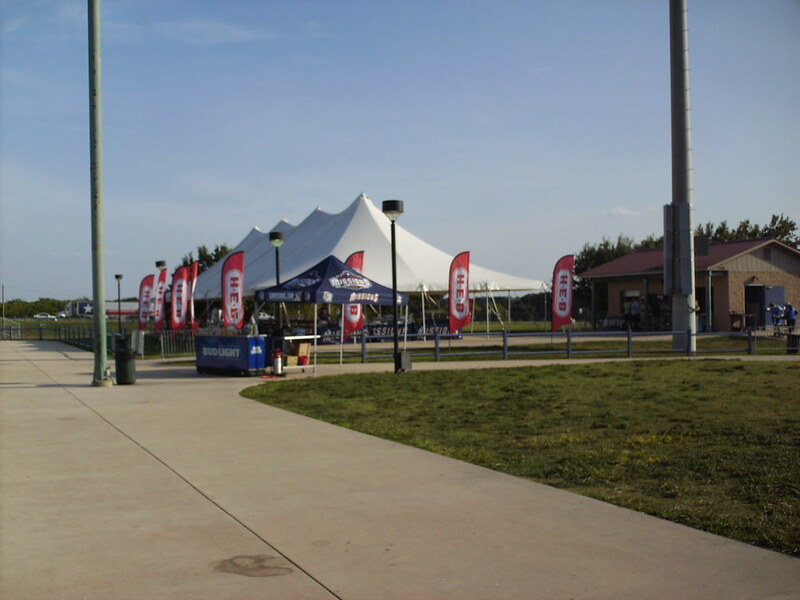 A picnic tent sits along the outfield concourse in the right field corner. 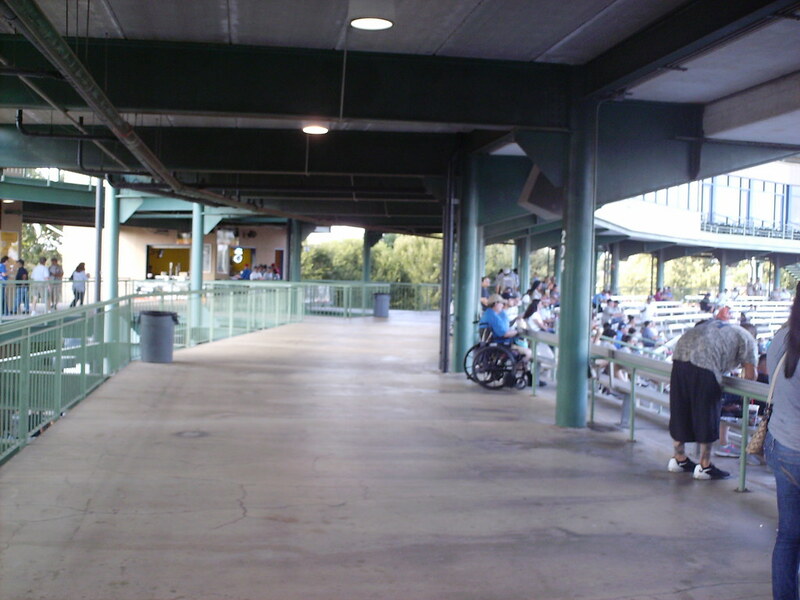 The main grandstand features a walkway that splits the seating area and a covered party area at the top. 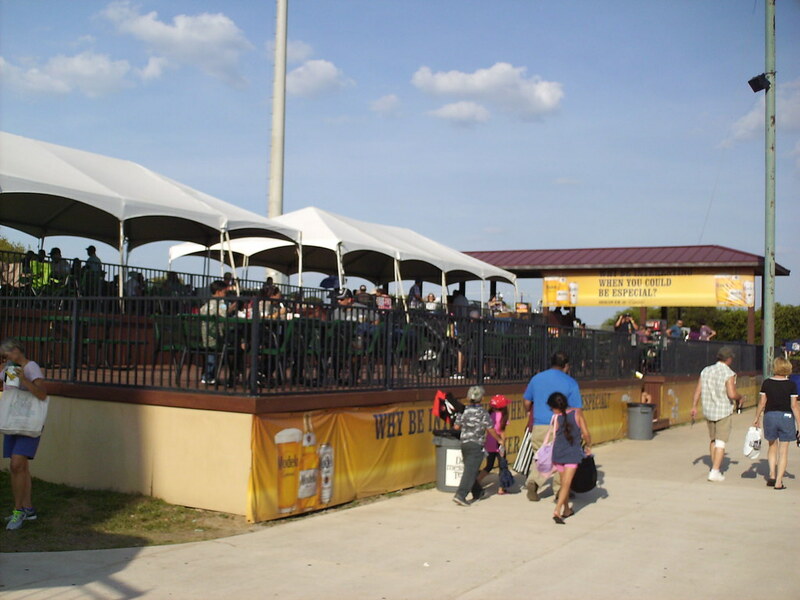 The covered group seating area at the top of the grandstand features Missions-logo seating and tables. 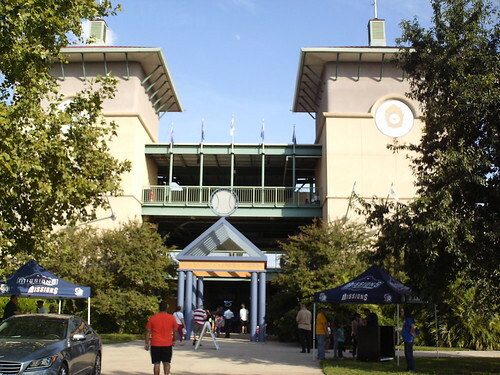 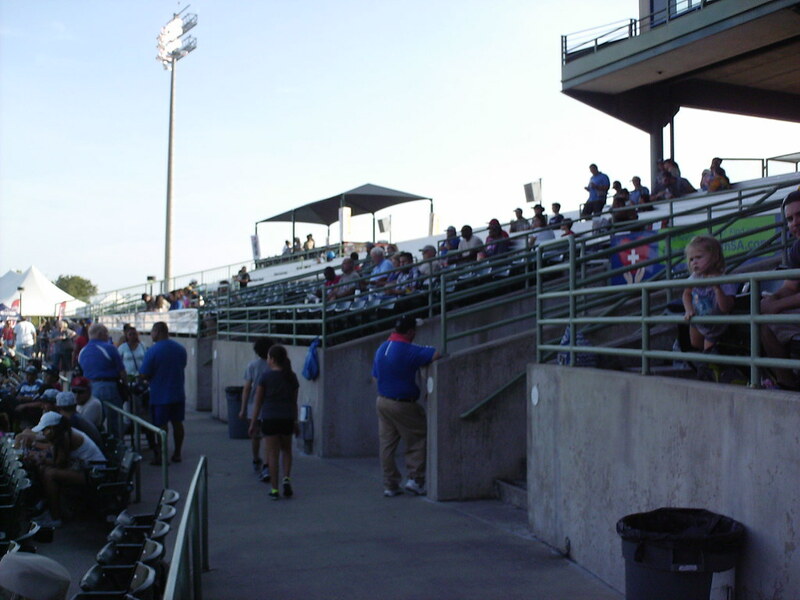 Fans enter the stadium from the bottom of the seating bowl, but the park features an upper concourse beneath the luxury suites at the top of the main grandstand. 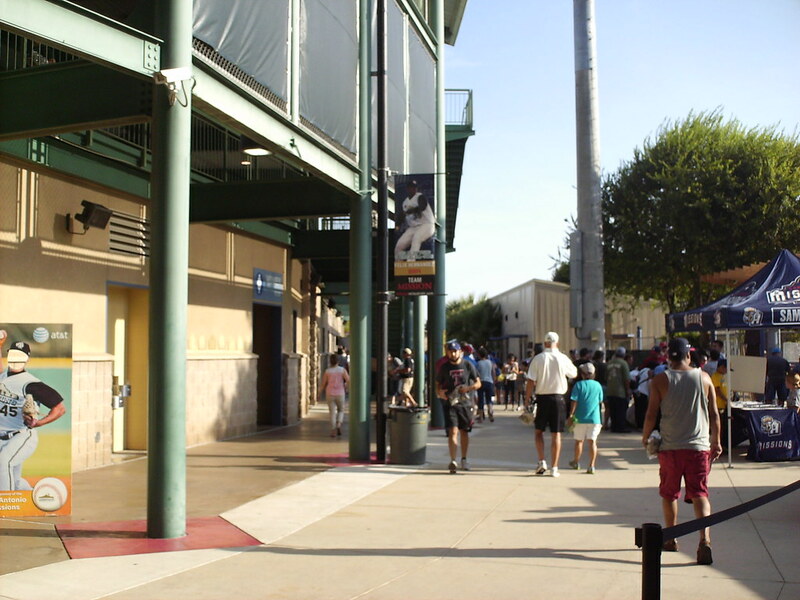 The main, outer, concourse at Wolff Stadium runs behind the stadium structure. 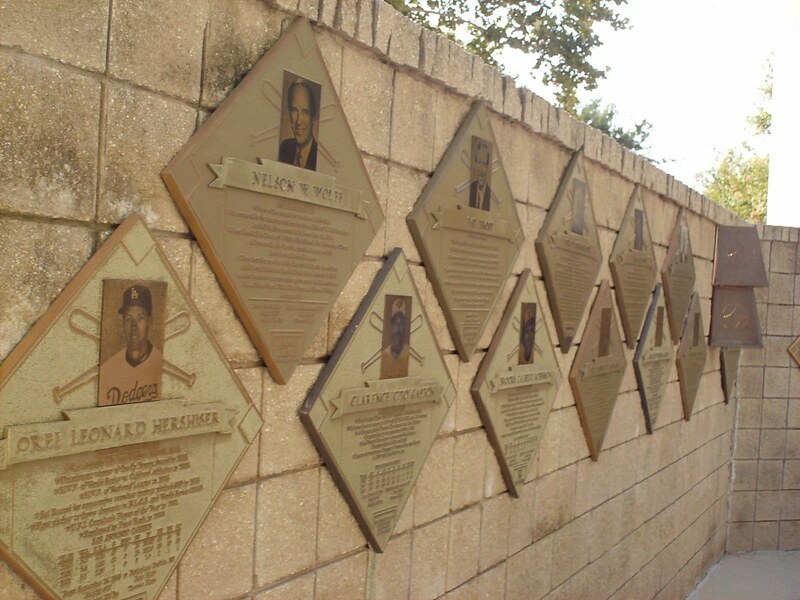 Hall of Fame plaques along the concourse celebrate great players in the long history of the Missions franchise. 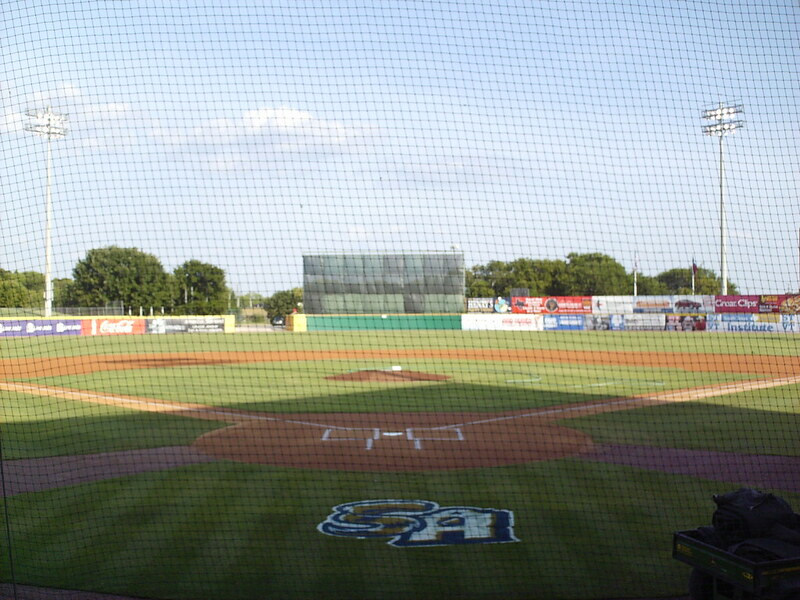 Bullpens are located in play down the outfield lines. 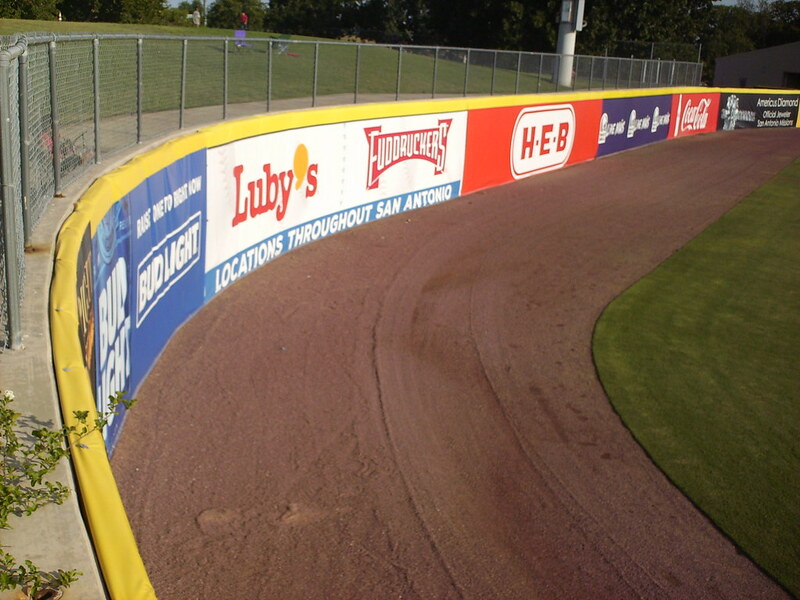 The outfield wall makes a wide curve as it moves toward the short left field corner. 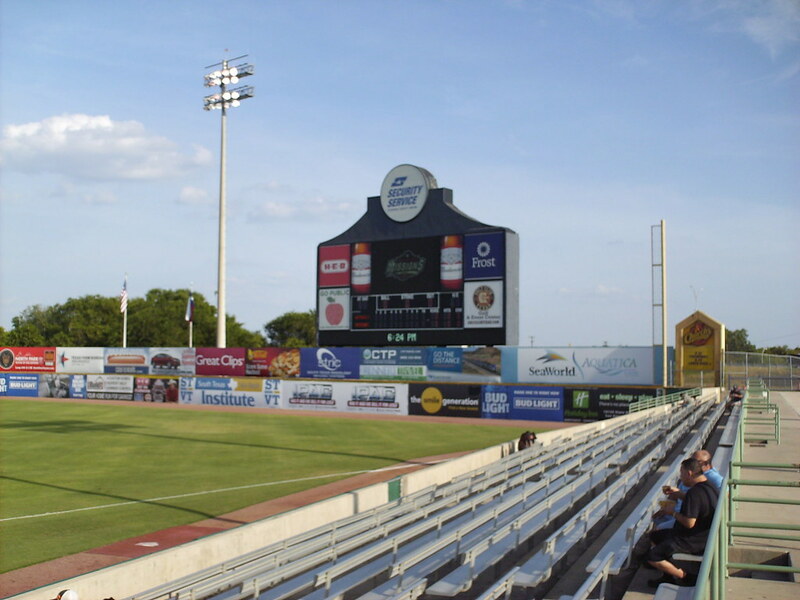 The scoreboard behind the right field wall features an Alamo-shaped profile. 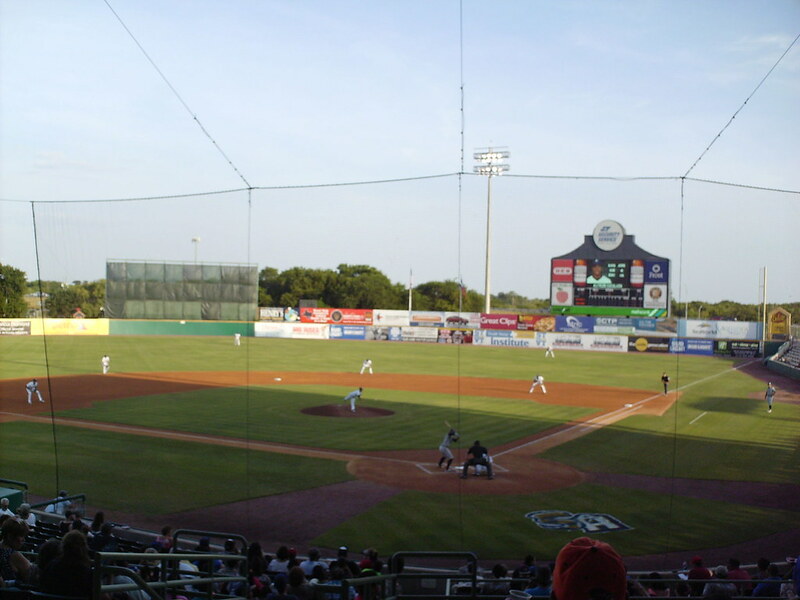 The San Antonio Missions on the field during a game at Nelson Wolff Stadium.